Brilliance made possible through decades of color research. Detail rivaled by no other. And stunning quality for a lifetime of memories. 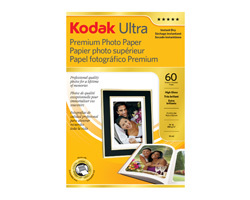 KODAK Ultra Premium Photo Paper – it goes beyond pictures, beyond expectations.